Figure 1. Harvard was established as the first college in the American Colonies. The United States is known for its numerous higher education possibilities with many universities offering undergraduate and graduate degrees. The large increase of universities in the United States is relatively recent, with the early history of higher education often dominated by a few universities that were very parochial with their offerings. This changed greatly since the Industrial Revolution and the post-World War II era. Before the Revolutionary War, higher education was seen as a way to train future ministers and those who had to be able to read and interpret the Bible for the larger congregation in a community. Harvard College was the first college established in the American Colonies in 1636 (Figure 1), where it was established by the Massachusetts Bay colonial legislature. The US tradition of leaving colleges endowments began at this early date. John Harvard, where the College was named after him, left the school £779 and the initial 400 books donated to the library. 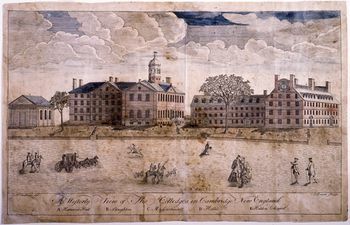 Unlike many other colleges, the early colleges in the United States began developing a practice of receiving early endowments, although funding also came from local legislative bodies in the US colonies. Higher education was seen as unnecessary for most at this time, with participation being lower than 1% of the population in the colonial period. One of Harvard's early publications stated its purpose as: "...dreading to leave an illiterate ministry to the churches when our present ministers shall lie in the dust." Similar to Harvard, William and Mary also received relatively important endowments with the intent of educating the ministry. The campus was established on 20,000 acres donated by the state of Virginia. Yale was established because of its rebellion of the 'liberal' theology taught at Harvard, where Puritans founded the school in 1701. Presbyterians, not satisfied with the theology of Harvard and Yale's Puritans, set up their college called the College of New Jersey that would later be called Princeton. Within the Ivy League, all the schools, except for Cornell, were founded by ministers from different denominations. As more migration came to the colonies, new colonists felt it was necessary to start their colleges to educate their ministers. This was the case with Rutgers, which was founded by the Dutch Reform Church. The goals were generally always the same, which was educating the clergy. Schools were even founded to educate Native Americans in English life and religion, which was the case with Dartmouth, founded in 1769. In the 18th and 19th centuries, those who wanted to advance their education outside of ministerial studies often had to travel abroad. Medicine soon began to be one subject one could study in some forms of higher education. In 1770, what would become the Columbia University College of Physicians and Surgeons gave its first medical degree. This was prompted by the fact that medicine was poorly developed in the colonies and medical training was in dire need. Female education was first established at Salem College, founded in 1772, but the focus was mostly on preparing women for domestic roles. Figure 2. Land grant universities helped to develop agriculture and agricultural science in the United States. Throughout the first half of the 19th century, colleges continued to open and focus on ministry education, with now more Catholic as well as Protestant colleges opened. Not all taught in English, with some of the German migrants opening their ministries and teaching in German. Although the focus was on the ministry, a liberal arts education began to develop that encompassed more than just theology. This included Greek, Latin, ethics, logic, and ancient history. Some universities taught courses such as 'moral science' as part of their ministerial education focus. In addition, the beginnings of the sciences began to be taught, mainly mathematics. Prior to 1850, laboratories did not exist and almost all education was based on lecture style. Most colleges enrolled individuals younger than 18. The colleges also established preparatory schools and enrollment was often limited to dozens for even some of the larger schools. Tuition was also very low, even by early 19th century standards, and literary societies, rather than fraternities or sororities, existing as the main diversion from academic study. By 1870, only one type of PhD degree was possible. After that time, Clark University and Johns Hopkins began to influence other colleges, including the Ivy League schools, to create graduate programs and offer wider PhD training and advanced degrees. This was often modeled after European universities that began to broaden their curriculum in the late 19th century. Although in 1848, the Seneca Falls convention called for more female participation in education, it took decades for this develop. Developments that occurred during the 19th century include some universities becoming more selective with admissions. This was often driven by social class rather than having admissions driven by achievement, where education was not seen as enabling social mobility but rather perpetuating the religious and class structure within the US. In particular, the Ivy League began to have a reputation in the 19th century as being very exclusive, catering to the elite of society and preparing them for political leadership. This helped to form what would ultimately become the elite Northeastern classes that dominated Civil War and post-Civil War society in the United States. Increasingly, other countries, such as Germany, began to reorient universities to focus on new developments in the sciences, including chemistry and physics. In the United States, there were increased needs for engineering, particularly industrial engineering, and agriculture. Pennsylvania State University in 1855 would develop into an early university and college that provided agricultural science training in 1855. In the 1860s, land grant universities began to appear in states, particularly the newer states in the Midwest. The 1862 Morrill Land-Grant Colleges Act not only helped to establish this but it also allowed women to enroll into co-education lang grant institutions, helping to enact some of the Seneca Falls actions called for. Iowa State, Purdue, Michigan State, and Michigan State were among the first that focused on agriculture and engineering that were intended to benefit the states as they developed economically. As land grant universities and colleges began to open, a new goal emerged, which was to educate (men mostly at this point) people so that they could develop better values and knowledge to benefit the states. Effectively, this developed the idea that colleges and universities could also become vehicles for social mobility for families that had previously been poorly educated. Minorities continued to be poorly served, but by 1890 land grant universities began to be extended to Black Colleges through legislation by Congress. The Second Morrill Act in 1890 helped to create separate land grant colleges for segregated states. By 1900, there were less than 1000 colleges and universities in the United States. Most never had more than 1000 students. After 1900, education training began to be seen as a major need throughout the country. 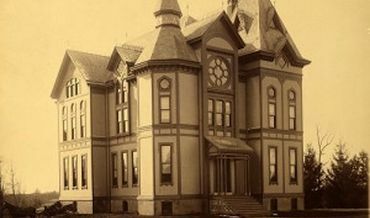 Already in the 1830s, there were schools focused on education training, but after 1900 they began to be increasingly integrated with colleges and universities. This led to growth in colleges providing training for teachers. Many of these education-focused colleges developed between 1900-1930, with other subjects in engineering and sciences also expanding in colleges and universities. The 1930s Great Depression became a turning point for many colleges. Many of the state colleges depended on state legislatures to provide funding, while also keeping tuition very cheap. As legislative funding dried, many schools, even elite private schools such a Northwestern University, began to struggle. Some universities, such as Indiana, responded by becoming more focus on entrepreneurship in their education offerings, helping them to find new studies and disciplines including in business and industry. Others began to now increasingly depend on tuition to fund their activities. Some colleges and universities were now charging over $200 for tuition, which was about a 650% increase from 1860s levels. This kept enrollment somewhat low but helped diversify college funding. The next key phase was the passing of the GI Bill, which provided an opportunity for every veteran to seek college education after the war. This meant that millions would be eligible for a college education. The Cold War also emphasized the need for scientific development, leading to increased funding for education and scientific disciplines in particular. This now led to another expansion in colleges throughout the United States. The Higher Education Act in 1965 now also created a federally backed system of low-interest loans to finance education, enabling most social classes now to participate in higher education. The 1960s also saw further expansion in college education through Lyndon Johnson's Great Society measures and programmes that helped expand and increase education for vocational training and professional training such as in dentistry. The beginnings of the community colleges, with open enrollment, began to develop and became well established by the 1970s. Colleges now were firmly part of the government's attempts for enabling social mobility among all the country's classes. By the late 20th century, for-profit universities began to emerge as a new phenomenon due to increased low-interest lending given that enabled higher rates of higher education participation. Higher education has reflected wider philosophical beliefs society has held in the United States. Initially, higher education was seen as the privy of the clergy. Later, colleges were seen as serving the interests of elites or focusing on segments of society that colleges saw as needing education. Increased industrialization in Europe and other countries helped to push the idea that the United States needed more degrees that covered areas outside of the liberal arts and ministerial education. The early 20th century saw a substantial increase in educational investment, as education itself required teacher training programmes. After World War 2, the GI Bill and Great Society legislation helped to expand university and college education in the United States greatly. Today, about 2 of every 3 high school students enroll in college between the ages of 18-24. ↑ For more on Harvard and the earliest colleges in the American Colonies, see: Hoeveler, J. D. (2007). Creating the American Mind: Intellect and politics in the Colonial colleges. Lanham, Md. : Rowman & Littlefield Publishers. ↑ For more on how different religious establishments created colleges and the founding of the first female colleges, see: Kimball, B. A., & Association for Core Texts and Courses (Eds.). (2010). The liberal arts tradition: a documentary history. Lanham, Md: University Press of America. ↑ For more on how colleges developed in the early 19th century, see: Geiger, R. L. (Ed.). (2000). The American college in the nineteenth century (1st ed). Nashville: Vanderbilt University Press. ↑ For more on how colleges and universities expanded areas covered and how land grant universities evolved, see: Geiger, R. L., & Sorber, N. M. (Eds.). (2013). The land-grant colleges and the reshaping of American higher education. New Brunswick (U.S.A.) ; London (U.K.): Transaction Publishers. ↑ For more on how higher education increased in the early 20th century and the role the Great Depression had in shaping colleges and universities, including tuition, see: Brubacher, J. S., & Rudy, W. (1997). Higher education in transition: a history of American colleges and universities (4th ed). New Brunswick, N.J., U.S.A: Transaction Publishers, pg. 380. ↑ For more on how the post-World War II colleges and universities developed, see: Hinton-Smith, T. (2013). Widening participation in higher education: casting the net wide? 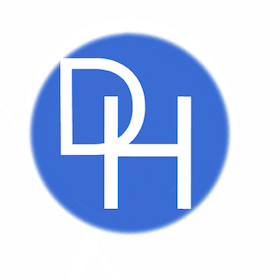 Houndmills, Basingstoke, Hampshire; New York: Palgrave Macmillan.